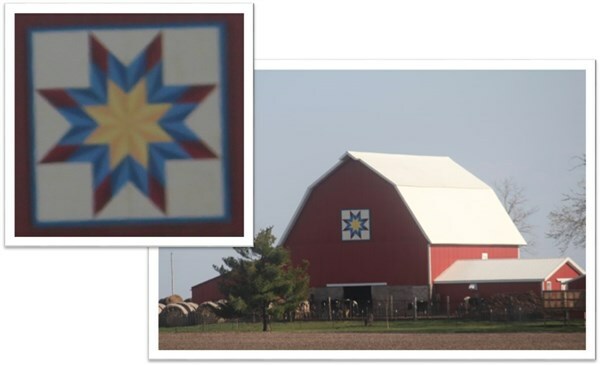 The Kirk Edelman family “won” this barn quilt at the Midwest Food Bank Auction in Bloomington around 2011. At the time, they think nobody else there had a big enough barn to put it on. It’s an 8 X 8. The hay that is outside and the livestock seen in the barn makes a good tale to tell on the trail. Functional farming in Fairbury! Fantastic!